So I can't alter the "require" setting. Also, I have it installed on my client and my server... and yet it is saying my client doesnt have it and kicks it with a mod rejection..
Also is there any way to remove the default wiki pages and tabs that come with the program? I am just going to be using it for the server wiki page stuff to inform my players of things. I also can't for the life of me get the auto-pop up page to work, It seems to be trying to pull from an assets folder inside the jar itself. So the pages I made and plopped in the igwmod folder aren't recognized as possible targets. small issue i am finding.. not sure how to give more ddetails but when pressing escape to close the wiki it come s back up and you have to press escape again to fully close it. Any way you can fix this? The mod keeps saying it's outdated, despite the fact that I am using the latest file from curseforge. Instead of waiting for NEI for 1.8.8, support JEI, which is quickly turning out to be the popular replacement. I agree - time to give that no-longer-being-updated dinosaur NEI the boot. # When enabled, this will notify players when IGW-Mod is not installed even though mods add support. It's my config file. But I still see notifications! Fix it, please. In the IGWMod.cfg I hope? If not, which mod is still generating the notifications? When are you updating IGW to have the new blocks added to the latest Pneumaticcraft builds? PneumaticCraft has the info, not IGW. IGW is just able to parse the info supplied by PneumaticCraft. 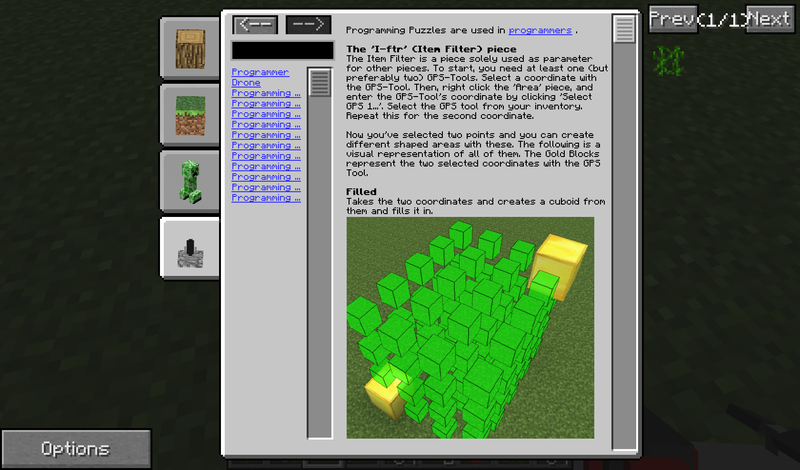 Every addition/change I do to PneumaticCraft will have an updated documentation for IGW.